We are the reputed producer of Variable Bow Roller ( Rubber Expanders ). 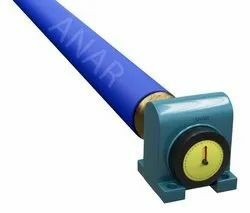 We also offer a wide range of Web Handling Equipments, Core Holding Device and Rolls according to the various Industrial Applications.We offer various ranges of variable bow expanders which are in high demand at the marketplace. Variable Bow Expanders are accessible in various sizes and types of rubbers. 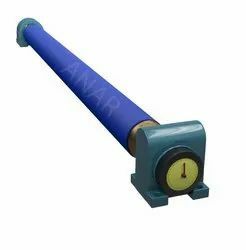 These rollers consist of metal segments, bowed shaft, sealed ball bearing and abrasion resistant rubber sleeve. Bow Banana Roller formation at any stage of manufacturing or processing is inevitable. To prevent inferior quality and/or rejection of webs, wrinkles must be removed at all necessary stages. Wide range of anti crease devices suitable for different web materials and different processes. 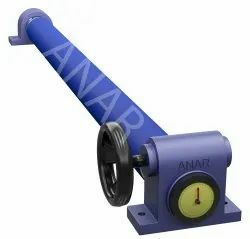 Anar Bowed Spreader Roll offered also known by the names of Curve Bar Expander, Banana Roll, Camber Roll and others and can be provided with options of different surface coatings like hard chrome surface, rubber surface as well as with the support of Teflon covering for meeting the demands of non-sticking applications. Support of worm wheel for precise adjusting of warp angle; allows for maximum removing of wrinkle, slack edges, spreading and slit separation; finding use in industry sectors like Textile processing machines, Paper Industries and many more. Offering a wide range of Bowed Spreader Roll. Our skilled professionals manufacture the entire range by using well-tested raw material and sophisticated technology. In addition to this, our offered range is rigorously tested by our quality controllers against diverse parameters in order to deliver a defect-free range at clients' end. It is available in hard chrome surface, rubber surface and also PTFE covering for non-sticking applications. We are the reputed provider & producer of Variable Bow Expanders. We also offer a wide range of Web Handling Equipments, Core Holding Device and Rolls according to the various Industrial Applications.We offer various ranges of variable bow expanders which are in high demand at the marketplace. Variable Bow Expanders are accessible in various sizes and types of rubbers. 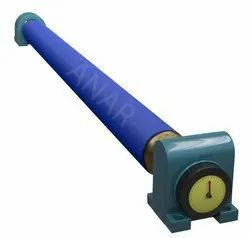 These rollers consist of metal segments, bowed shaft, sealed ball bearing and abrasion resistant rubber sleeve.